In January 2018 I went to West PNG for a research of a new area. 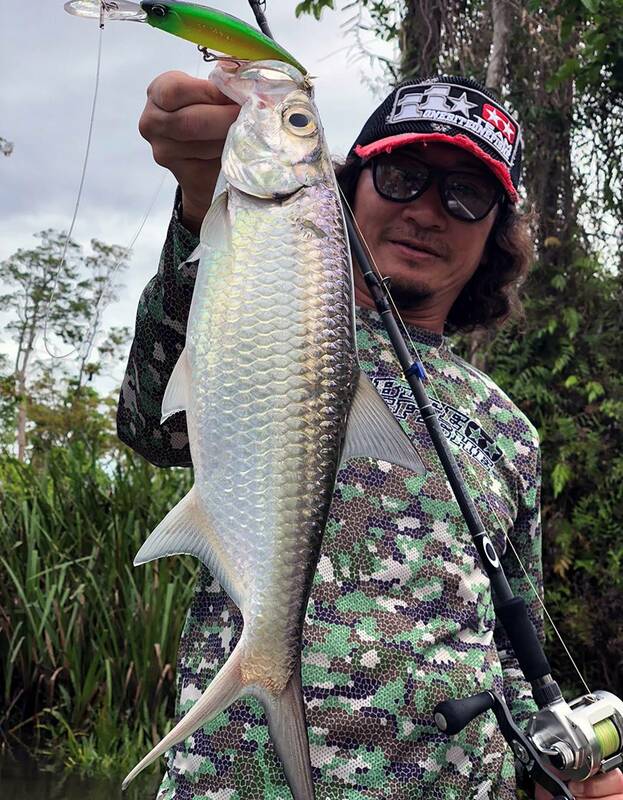 In the estuary area, the condition of the bass was bad with heavy rain every day, but Barramundi’s activity was high. 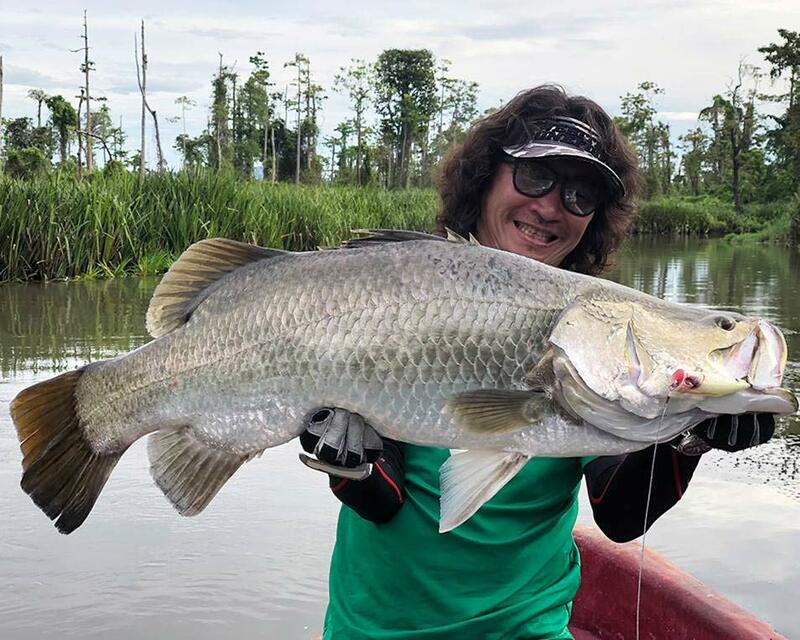 Although we were not able to catch beast side of bass or barra, we could investigate the area well and will be ready for next fishing trip here. 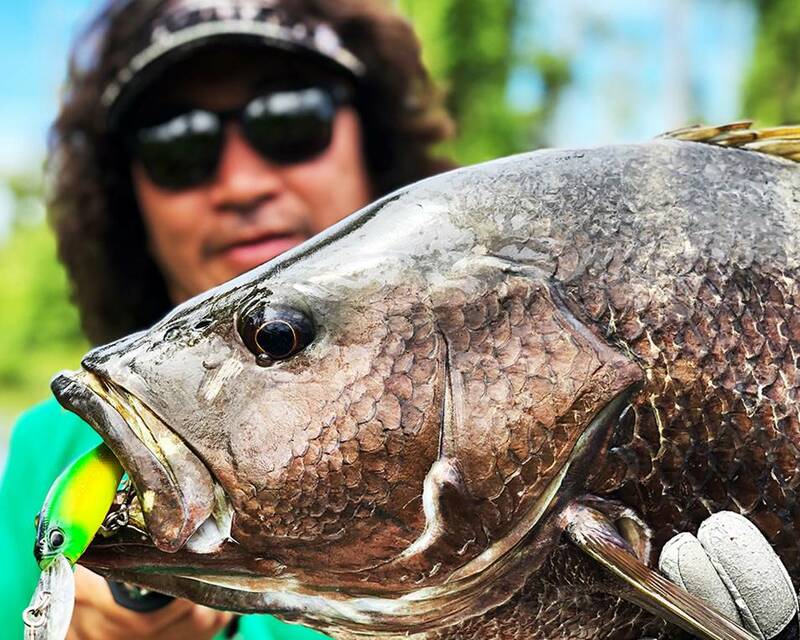 Barramundi on FangPop 120. With barramundis in a shallow tortuous shallow area, the surface game is exciting to the utmost! FangPop series performs both pop and walk the dog and with two sizes to choose from it`s a perfect topwater tool for predators. 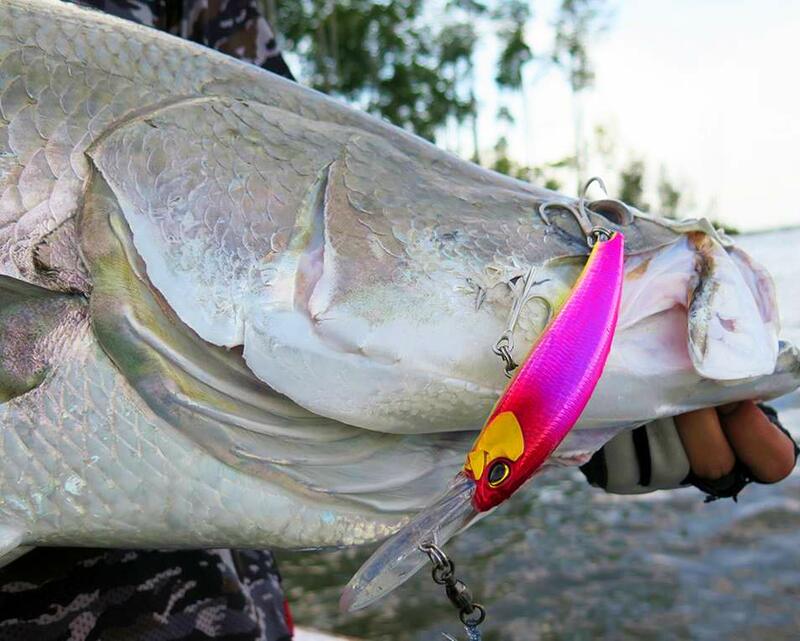 This is barramundi which hit Fangbait 120 in “Juliana Pink”, one of the new colors for 2018. This holograph version of pink is one of my favourite colors, powerful in sea or brackish waters. Another bass on Fangbait on “Dragon Z”, one of the classic colors. It`s easy to see that this bass came from the sea due to the body color. Queenfish on SW Limited version of Fangbait with rattle. “Gigo” is one of my favourite colors. 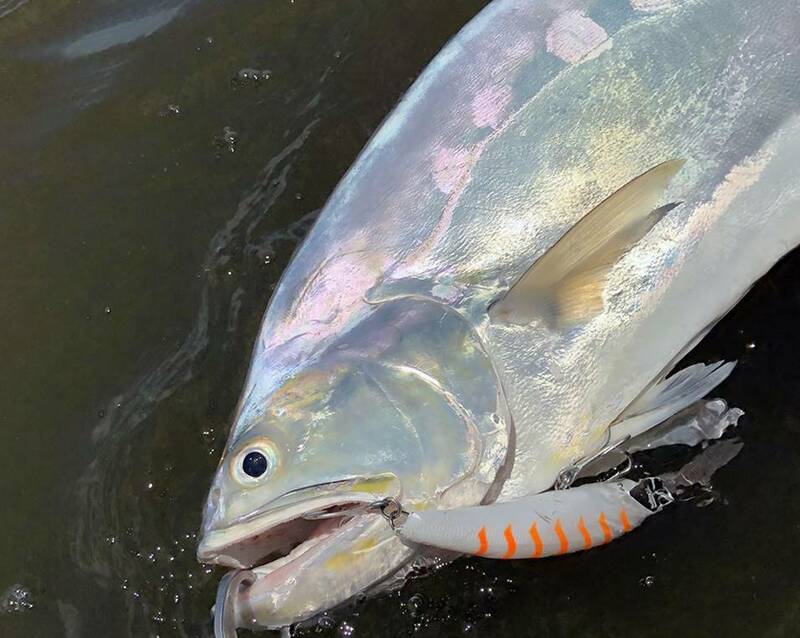 Pacific tarpon on Fangbait 120DR.